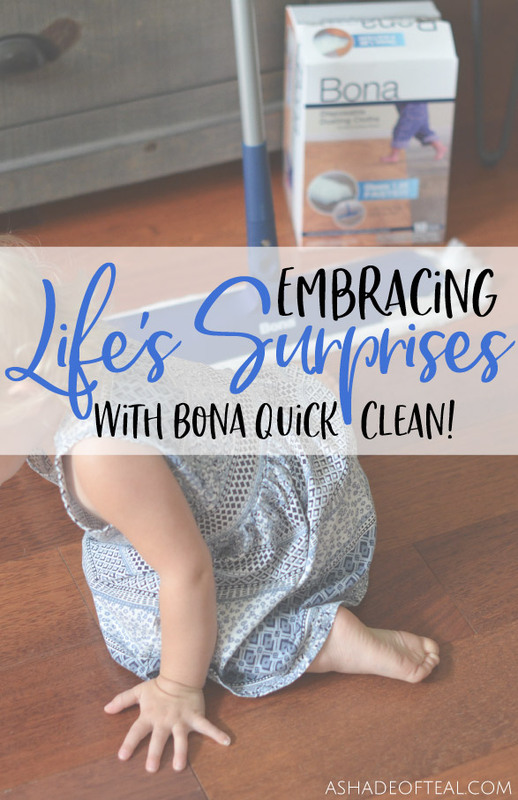 Embracing Life's Surprises with Bona! Embracing Life’s Surprises with Bona! Life happens fast, and of course when you least expect it you get the unwanted messes! I know with my kids it always seems like when I’m trying to pick up or keep things clean they manage to make a mess. Like most, I don’t have the time to spend hours cleaning, so using Bona’s new Quick Clean system has been amazing! 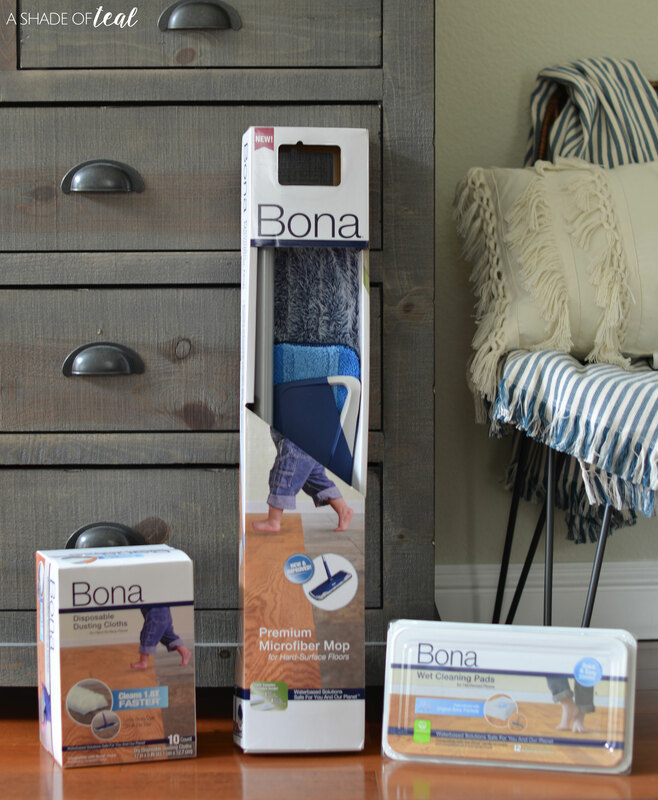 Bona’s Quick Clean System provides a quick and easy solution for your wood floor. It has a fast-drying, no residue formula with an extra-wide mop head making those messes go away in minutes! 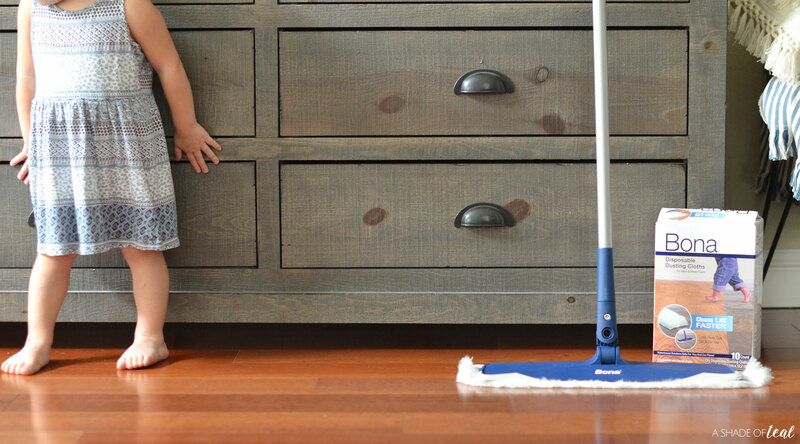 My youngest daughter has a way of making messes on our floors, the only upside is that she loves to help with the cleanup! DUST – the 3D design mimics their microfiber to pick up more dust and dirt, especially pet hair. 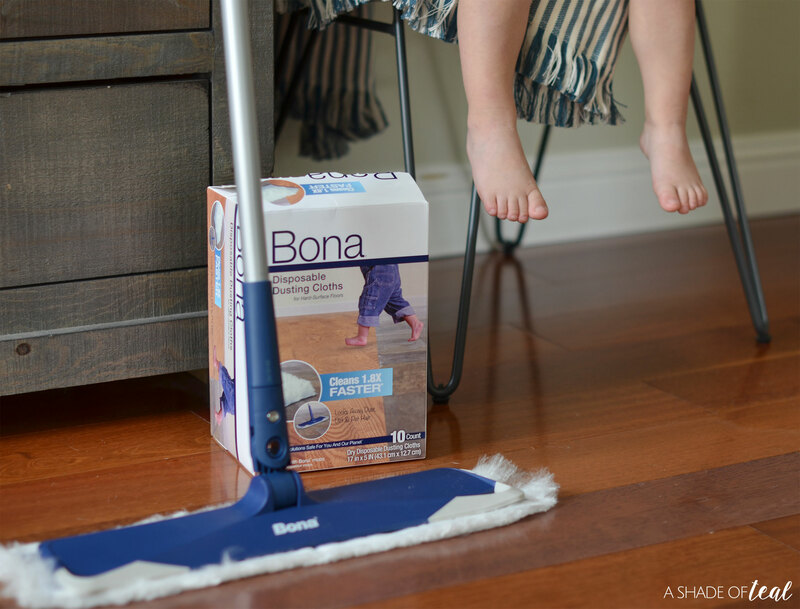 CLEAN – use the wet thick pad infused with Bona proprietary cleaning solution and gently scrub the floor. 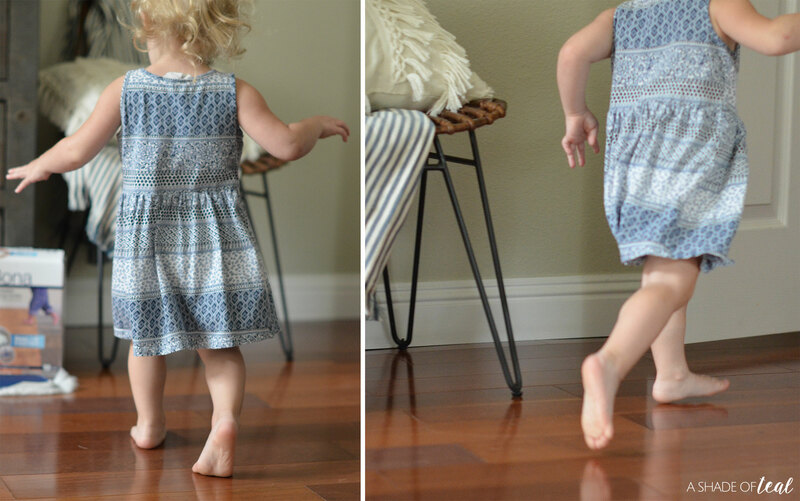 DONE – Within minutes you’ll have a clean floor! Remember to keep in mind that Bona Quick-Clean is designed to be safe and effective for use on hard surface floors, but is not meant to be used for other flooring (laminate, etc.). 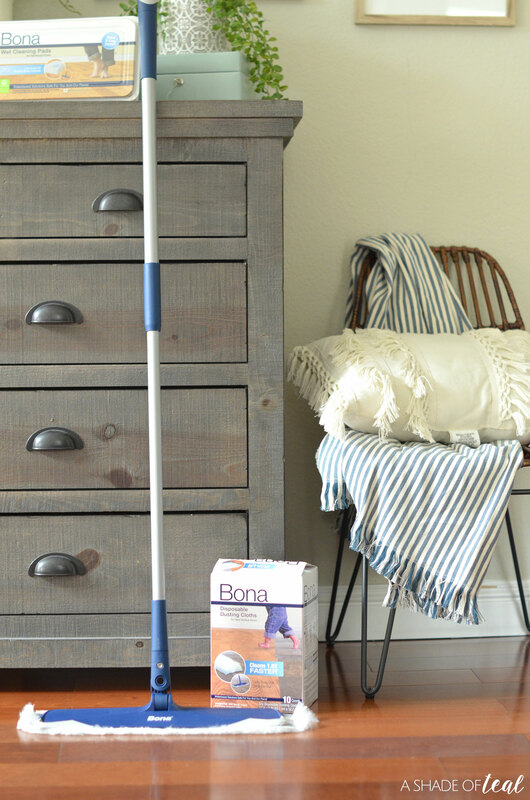 That means you can win a Bona® Premium Microfiber Mop for Hard-Surface Floors, the Bona® Disposable Dusting Cloths, and the Bona® Wet Cleaning Pads! 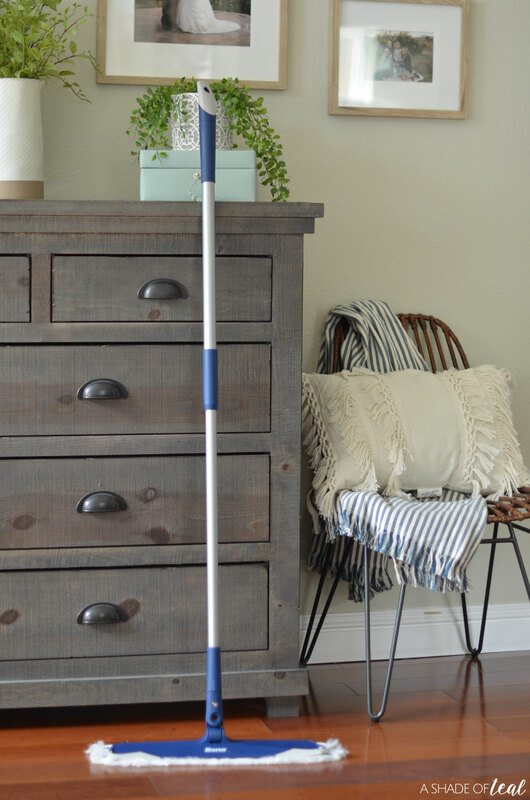 So whether you have unexpected guests, or an unexpected spill, the Bona’s Quick Clean System is always there for a simple touch-up when surprises appear! I know I’ve definitely learned to embrace life’s surprises and messes since having kids! Learn more here or visit the BonaFide Fanatics page on their website, to sign up for the Bona newsletter for a chance to receive coupons and seasonal offerings. 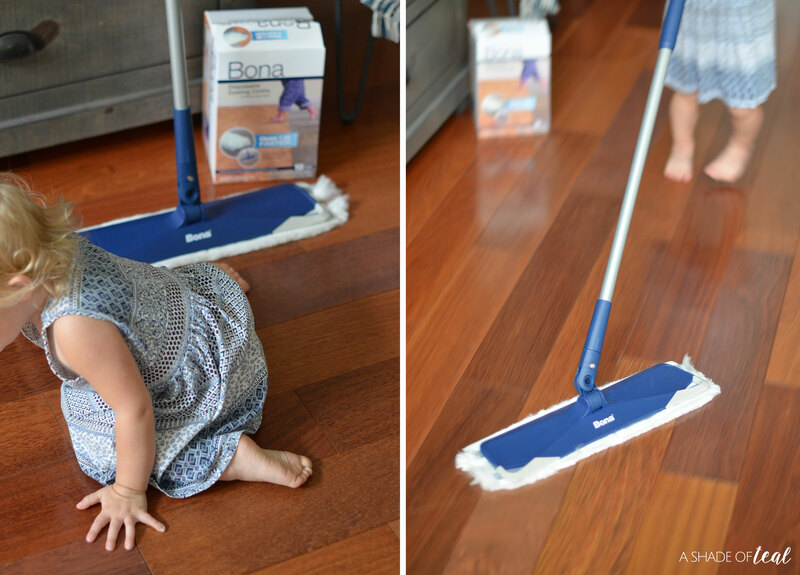 Don’t forget to leave me a comment for a chance to win the Bona Quick Clean Kit! « Make Training a New Puppy Easy!